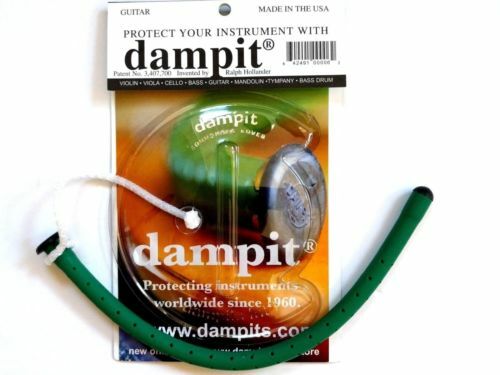 Dampit humidifiers have been serving classical guitarists for many years. If properly used they can be very effective. Care must be taken during use. Always wring the Dampit out thoroughly and loop it around the strings so that it won’t lay against the wood inside the guitar. If installed in this way, the guitar will be protected. Easy to install and remove, will not damage the guitar as long as excess water is removed. I like it. Dampits saved my Taylor from a nasty split on the top behind the bridge. I sent away from the dampits brand that I saw in a you tube tutorial by Taylor guitar. I got the right parts from Strings by mail, and danged if it didn’t close the crack in my guitar in 5 days.